New Delhi : Former External Affairs Minister and former Karnataka Chief Minster S.M. Krishna on Sunday submitted his resignation from the Congress party. While announcing his departure from the party, Mr Krishna claimed that he is pained to see how Congress side-lined its loyal worker. He also slammed Congress party for allegedly choosing all wrong options at the crucial time. "If a party cannot respect seniority then there is no future," said SM Krishna, adding Congress currently needs good managers than mass leaders. 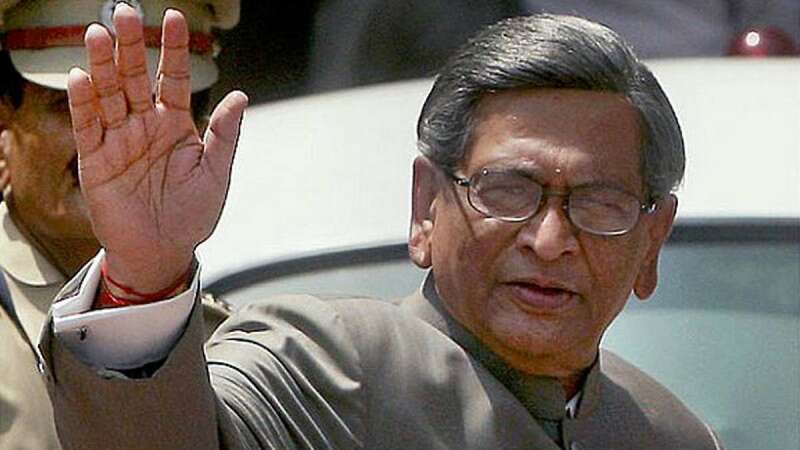 Krishna was the country's External Affairs Minister in the second UPA government from 2009 to 2012 after his stints as Maharashtra Governor from 2005 to 2008 and the state's Chief Minister from 1999 to 2004. Krishna is also the party's lawmaker in the Rajya Sabha.